Liars - 1/1 (Original Soundtrack). Vinyl LP, CD. Bleep. Liars have done many things in their long career, but never before have they made music for the screen. 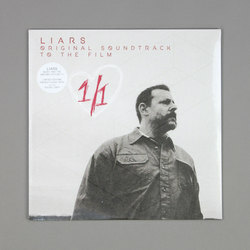 Director Jeremy Phillips got in touch with the band about soundtracking his debut movie 1/1 around the time that Liars were grinding out 2014’s celebrated Mess LP. The group began working on 1/1 shortly after Mess was released. This means that Aaron Hemphill - nowhere to be found on 2017’s TFCF - appears alongside Angus Andrew in the credits here. As for the record? Well, it’s classic Liars stuff. For the uninitiated that means visceral punk and electronics that makes nods to industrial rock, industrial techno and synthwave.